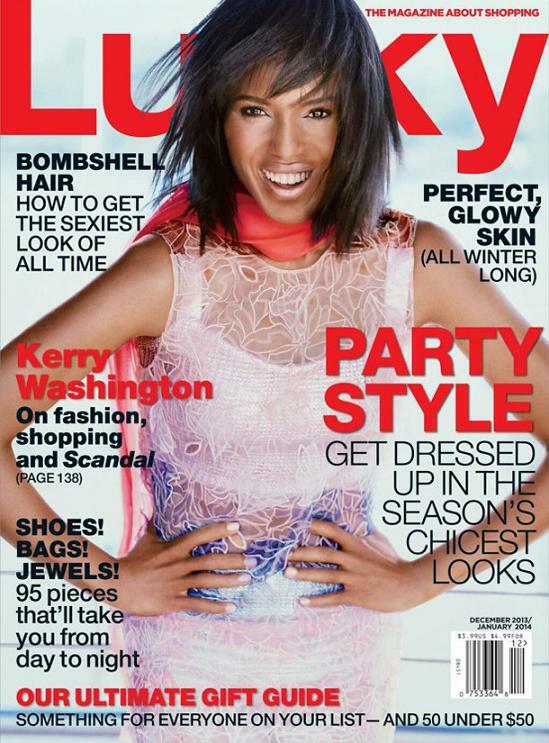 Following the unveil of actress Kerry Washington’s feature on Lucky magazine November issue, fans were left in disbelief. The cover is visibly photo shopped, altering the ‘Scandal‘ actress’ appearance. Washington looked two shades darker than her natural complexion, her eyes made smaller, and lines around her lips refined. Washington’s usually tamed wavy locks was also displayed in a wispy layered shouldered length bob. Although the actress herself also shared the image with fans, there was no indication on whether she felt the cover altered her appearance. What are your thoughts Fashion Debunkers, does the cover look like Kerry?